Two years after being asked to rebuild a decimated community, Sherzad Mamsani has been removed from his position. The catch: He was an unpaid volunteer. After working for Iraqi Kurdistan’s Ministry of Endowment and Religious Affairs for two years, the region’s Jewish representative, Sherzad Mamsani, has been let go. The move is especially peculiar since Mamsani’s position was unpaid. Mamsani said he was not forewarned about his dismissal, which occurred while he was on sick leave abroad, hinted that the firing could be an effort by the Kurds to reconcile with Baghdad following shaky relations after an independence referendum in September of last year. In the referendum, 93 percent of Iraqi Kurds voted for secession and an autonomous state. 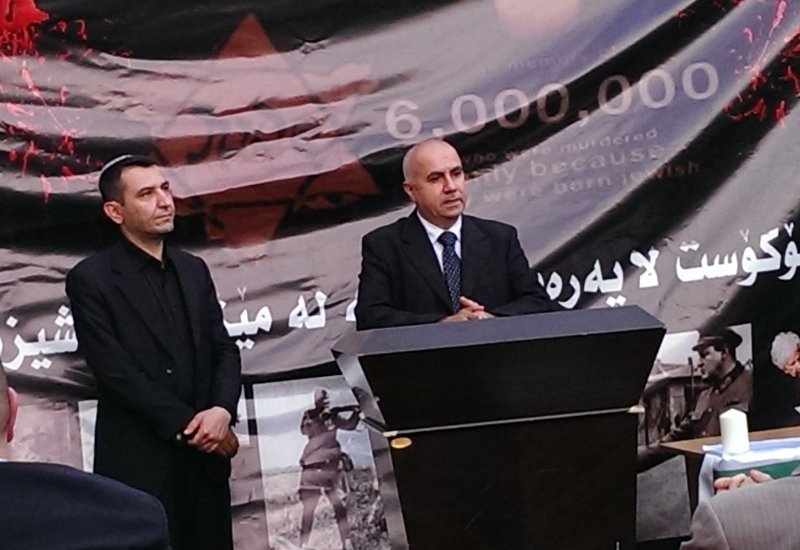 Nasqshbandy said that the move was likely political because the Religious Affairs ministry previously ignored his complaints that Mamsani was proving ineffective at mobilizing Kurdistan’s dormant Jewish community. Mamsani was one of seven religious minority representatives whose posts were created by the Kurdistani parliament in 2015. The Jewish representative’s position was unique in that its aim was to unite Kurds whose Jewish grandparents converted to Islam. He wanted to offer them a Jewish education and opportunity to return to their roots. To help rebuild the Jewish community in Kurdistan, Mamsani looked for help from Rabbi Daniel Edri, the chief of the Haifa, Israel, rabbinical court.